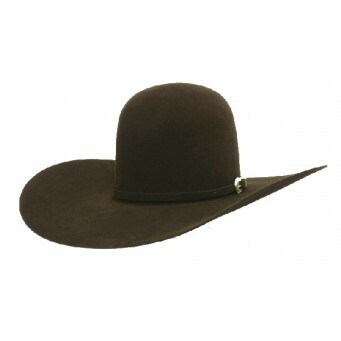 American Hat Company 10X chocolate 6" open crown witha 4 1/2" brim felt hat that can be creased to the crease you like to wear. Please be sure to read the terms and conditions for creasing your hat. Just let us know how you would like it creased!